Lineage. Constituted 19 Reconnaissance Squadron (Heavy) on 28 Jan 1942. Activated on 1 Mar 1942. Redesignated: 409 Bombardment Squadron (Heavy) on 22 Apr 1942; 409 Bombardment Squadron, Heavy, on 6 Mar 1944. Inactivated on 6 Jul 1945. Redesignated 409 Bombardment Squadron, Very Heavy, on 5 Aug 1945. Activated on 20 Aug 1945. 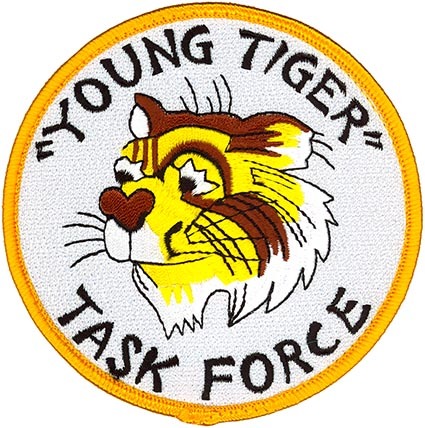 Inactivated on 1 Oct 1946. Consolidated (19 Sep 1985) with the 909 Air Refueling Squadron, Heavy, which was constituted, and activated, on 18 Jan 1963. Organized on 1 Apr 1963. Redesignated 909 Air Refueling Squadron on 1 Oct 1991. Assignments. 93 Bombardment Group, 1 Mar 1942-6 Jul 1945. 93 Bombardment Group, 20 Aug 1945; 444 Bombardment Group, 6 May-1 Oct 1946. Strategic Air Command, 18 Jan 1963; 461 Bombardment Wing, 1 Apr 1963; 22 Bombardment Wing, 25 Jun 1966; 376 Strategic Wing, 1 Jul 1971; 18 Operations Group, 1 Oct 1991-. Stations. Barksdale Field, LA, 1 Mar 1942; Fort Myers, FL, 18 May-13 Aug 1942; Alconbury, England, 7 Sep 1942; Hardwick, England, c. 6 Dec 1942-15 Jun 1945 (air echelon operated from Tafaraoui, Algeria, 7-15 Dec 1942; Gambut, Libya, 16 Dec 1942-25 Feb 1943; Bengasi, Libya, 27 Jun-26 Aug 1943; Oudna, Tunisia, 18 Sep-3 Oct 1943); Sioux Falls AAFld, SD, 26 Jun-6 Jul 1945. Pratt AAFld, KS, 20 Aug 1945; Clovis AAFld, NM, 13 Dec 1945; Davis-Monthan Field, AZ, 18 Jun-1 Oct 1946. Amarillo AFB, TX, 1 Apr 1963; March AFB, CA, 25 Jun 1966; Kadena AB, Okinawa (later, Japan), 1 Jul 1971-. Aircraft. B-24, 1942-1945. B-29, 1945-1946. KC-135, 1963-1971, 1971-. Operations. Antisubmarine patrols, May-30 Jul 1942. Combat in European and Mediterranean Theaters of Operation (ETO and MTO), 9 Oct 1942-25 Apr 1945. Worldwide air refueling, Jul 1963-Jun 1971 and Aug 1971-. Rotated aircrews to Southeast Asia, 1967-1973. Provided air refueling in Southwest Asia, Aug 1990-Mar 1991. Provided air refueling in support of peacetime operations and all levels of conflict in the Pacific Theater, 1991-. Campaign Streamers. World War II: Antisubmarine, American Theater; Egypt-Libya; Air Offensive, Europe; Tunisia; Sicily; Naples-Foggia; Normandy; Northern France; Rhineland; Ardennes-Alsace; Central Europe; Air Combat, EAME Theater. Southwest Asia: Defense of Saudi Arabia; Liberation and Defense of Kuwait. Decorations. Distinguished Unit Citations: North Africa, 17 Dec 1942-20 Feb 1943; Ploesti, Rumania, 1 Aug 1943. Air Force Outstanding Unit Awards with Combat “V” Device: 1 Jul 1971-31 Mar 1972; 1 Apr 1972-28 Jan 1973. Air Force Outstanding Unit Awards: 1 Apr-1 Oct 1967; 25 Mar-1 May 1968; 1 Jul 1969-30 Jun 1970; 1 Sep 1970-30 Jun 1971; 29 Jan 1973-31 Mar 1974; 1 Jul 1974-30 Jun 1976; 1 Jul 1976-30 Jun 1977; 1 Jul 1977-30 Jun 1979; 1 Jul 1981-30 Jun 1983; 1 Jul 1985-30 Jun 1987; 1 Jul 1987-30 Jun 1988; 1 Jul 1989-30 Jun 1991; 1 Jun 1991-31 May 1993; 1 Jun 1993-31 Aug 1994; 1 Sep 1995-31 Aug 1997; 1 Oct 1998-30 Sep 2000; 1 Oct 2000-30 Sep 2002; 1 Oct 2002-30 Sep 2004; 1 Oct 2005-30 Sep 2007. Republic of Vietnam Gallantry Cross with Palm: 1 Jul 1971-28 Jan 1973. Emblem. Approved on 2 Dec 1963; updated on 7 Nov 1995.